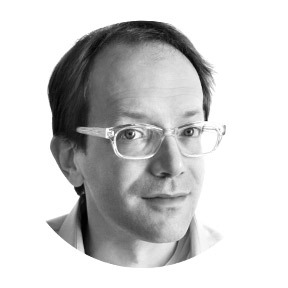 Stephen Burt is a poet, critic, and professor of English at Harvard. In 2009, his guide to reading contemporary poetry, Close Calls With Nonsense, was a finalist for the National Book Critics Circle Award. 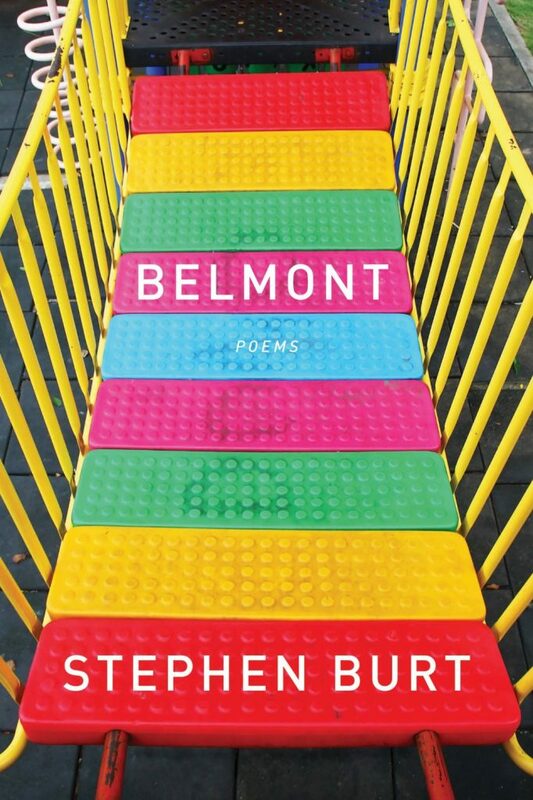 His most recent poetry collection, Belmont (Graywolf Press, 2013) is a brilliant sequence of surprising, absurdist, sexually supple verse, flush with the joys of parenthood, adventurous in its versification, unafraid of living and loving. There’s a poem about the Muppets. One’s titled “For Avril Lavigne”. Another is told from the perspective of your standard office stapler (“I have no use for a doctrine of non- / attachment, although I once / put an argument for it together”). Stephen is one of the guests at our Seriously Entertaining show When Strangers Meet at Joe’s Pub at The Public Theater on June 13. Name: Stephen Burt. Steph, in person. Sometimes also Stephanie. Where are you from? Washington, DC. Childhood in the Maryland suburbs, but really, DC. What is your occupation? I’m a college professor. I teach people how to read and talk about poetry, except when I am teaching them how to read and talk about comic books. Title of most recent work: The Poem Is You: Sixty Contemporary American Poems and How to Read Them, out this fall from Harvard University Press! What are you working on now? A double handful of poems, including one called “Effortlessness” and one about a blue goldfish named Scarlet. If you had to paint a scene from your childhood to capture its essence, what would you paint? Styrofoam packing material (the kind that a microwave oven or a computer monitor would come with) colored with markers so that it looked like a space vehicle, with a couple of Star Wars figures posed inside. What’s your earliest memory of literature? I did a report on John Milton for third-grade library class and copied out the first part of “Lycidas” by hand in a truly ridiculous elaborate handwriting. I loved it. I have no idea how I ended up doing a report on him, though. What do you hope future civilizations will find in the miraculously preserved shell of your home? The fourth-grade yearbook that my spouse spent most of the week designing and laying out, because she worked so hard on it and because it contains so many of our ten-year-old’s good memories. Future civilizations will be able to use it to figure out how childhood worked in ours. What are you reading right now? All the Birds in the Sky by Charlie Jane Anders; London: A History in Verse by Mark Ford; The Planets by Sergio Chejfec, trans. Heather Cleary; about fifteen papers from my graduate seminar in contemporary poetry, including several analyses of a terrific first book by Brandon Som. What was the last great film you saw? Zootopia. We have a ten-year-old and a six-year-old and rarely get out for adult movies, although if we’re lucky we’ll see The Lobster tomorrow. People with children should certainly see Zootopia, though. It’s got the best politics of any children’s film ever. And bunnies. And a pangolin. Who in fiction do you most closely identify with? Celia from As You Like It. George Eliot’s omniscient narrator. RFP from Richard Powers’s Galatea 2.2, perhaps alas. Kitty Pryde/Shadowcat, of the X-Men. If you could play any character on the stage, who would it be? See above! Also there should be a stage play about the life of Katharine Hepburn, and if I had an entire set of skills I don’t have and that stage play existed I’d be right there. If you could live inside a fictional world, which one would you choose? That question gets harder the more you think about it, because the best fictional worlds (to read about) are dramatic enough that you wouldn’t really want to live in them. That said, at the moment I’d go with Catherynne Valente’s Fairyland. Including Fairyland-Below. Watch out for your shadow! Given sufficient budget, what would you put on your wall? Given sufficient budget, I might have more walls! Let’s start with a Bonnard, a Frankenthaler, and a page of original art from one of the Sophie Campbell-drawn issues of Jem and the Holograms. Who would you choose to read the audiobook of your collected works? It would be very important to me, if such a thing ever came to exist, to have more than one voice in that audiobook: ideally, voices from several registers, backgrounds, and countries. Including my own. How do you celebrate the completion of a piece of work? When I have a poem accepted in a journal I like, or when I feel that a poem I’ve been trying to fix for a while looks “done”, I email my spouse and maybe eat some almonds or a piece of fruit. When it’s really exciting I look for exotic fruit. If anyone knows where in New England I can find a reliable source for feijoas or monstera, please get in touch. On the other hand, I just turned in the index and corrected proofs for The Poem Is You (see above), and I “celebrated” by having friends over, watching their kids play with our kids, and then going to bed and sleeping for nine and a half hours. Sleep is good, and I don’t get much of it when I am trying to finish something big! Thanks, Stephen! Thanks for listening. You can see Stephen at the Seriously Entertaining show When Strangers Meet on June 13, 2016, at Joe’s Pub at The Public Theater. Buy tickets here.